As a province surrounded by seas and rich in produce, Gorontalo would be a great culinary destination for unique Indonesian dishes. In addition to that, seeking out the sweet treats in Gorontalo can also be an adventure on its own. 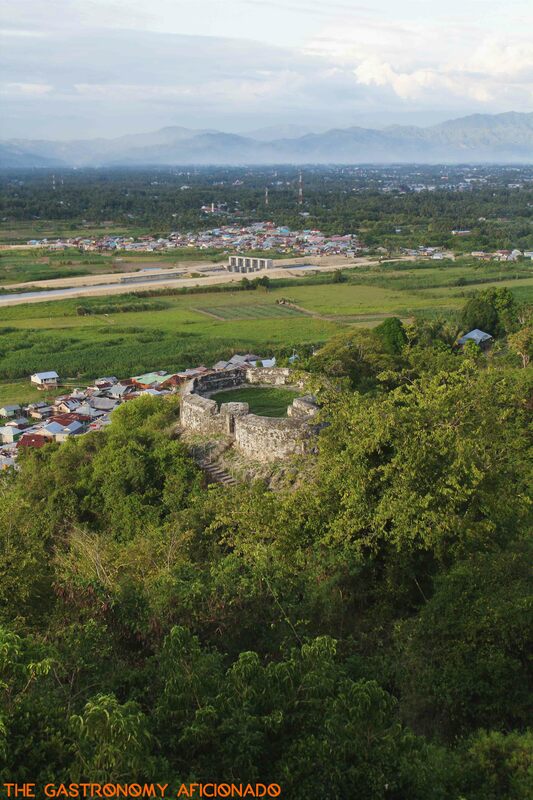 As one of Indonesia’s northern frontiers, Gorontalo possesses a mesmerizing lay of the land that includes fertile lowlands, pristine beaches, and a range of hills and mountains separating the northern and southern part of the province. While Gorontalo may be smaller when compared to other provinces in Sulawesi, its full potential is waiting to be discovered. A single culinary trip with Arie Parikesit’s Kelana Rasa and Omar Niode Foundation brought me to realize how impressive this province would be in the future. Within only 15 years since Gorontalo was inaugurated as a province of its own, the people have witnessed so many improvements here and there. While Gorontalo is slowly becoming a major tourism destination, the efforts done by Omar Niode Foundation to promote the province and Indonesia’s foremost culinary tour programs held by Kelana Rasa will surely quicken the pace to fulfill this dream. So how about the desserts that I mentioned earlier? 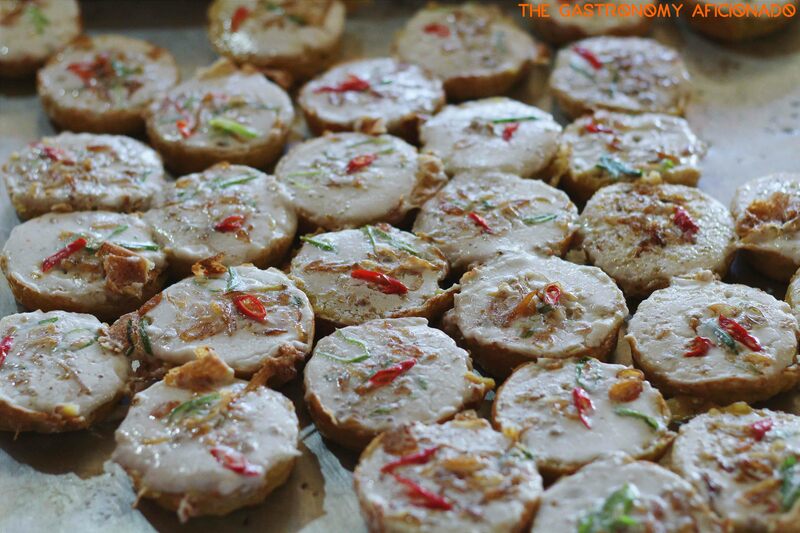 Rich in produce such as coconut and palm sugar makes Gorontalo a haven to enjoy both savory and sweet treats. Here we present you some of the best places to experience a whole different dimension of Indonesian desserts in Gorontalo City. 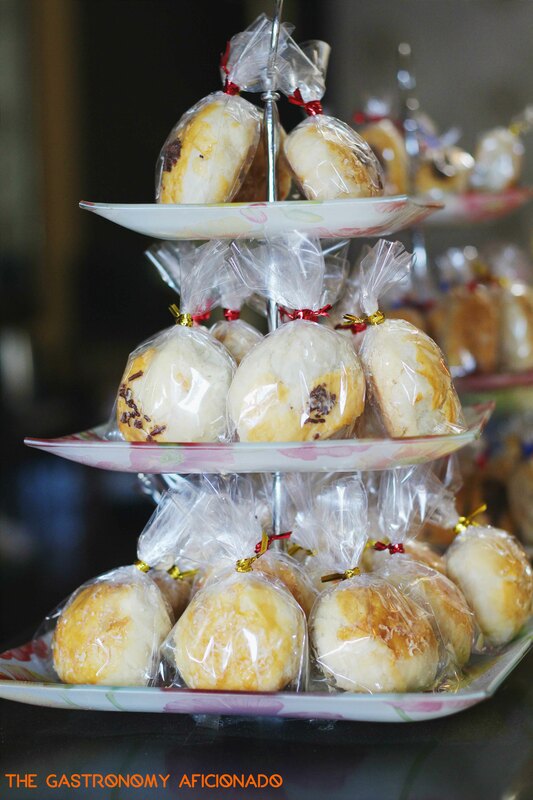 Pia, or the bigger size bakpia, is a heritage snack that was influenced from Chinese sweet rolls. 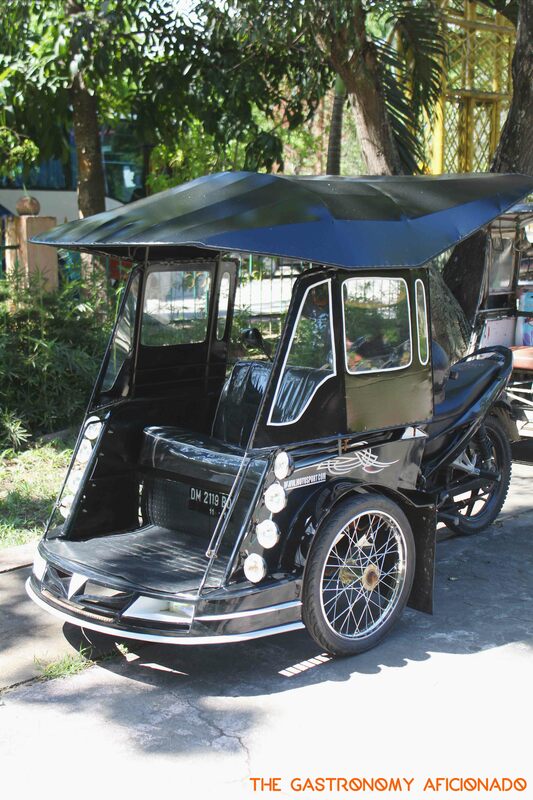 While the latter can be found mostly in Pathok district of Yogyakarta, pia itself has now already gained recognition in other places outside of Yogyakarta such as Bali, Bandung, and also in Gorontalo. A visit to Pia Olivia is a must while in Gorontalo. Not only that it is crisp on the outer and satisfyingly thick when you started to dig in, the pia is also generously filled with your selection of chocolate, mung beans, or cheese. 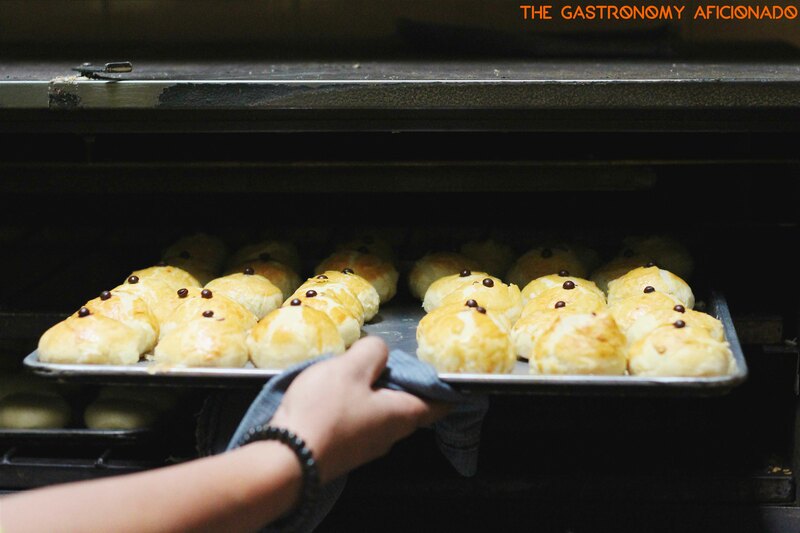 While it is also reasonably priced, the pias are freshly baked every single day. For your personal satisfaction, it also came in four different sizes. One other best part aside from how fulfilling these delicious snacks are, there is no need for you to queue that long or place an order for many days prior. Just come in and have all that you want! Elusive yet sought after by many, Pusat Jajanan Ta Uchi has no official name and sometimes also referred to as Kue Telaga. This home industry specializing in many kinds of local delicacies is basically only known to locals, but when you are in Gorontalo, a quest to search this dessert haven is a must. People would come by every day to order hundreds of its snacks and desserts for weddings, congregations, and for reselling as well. 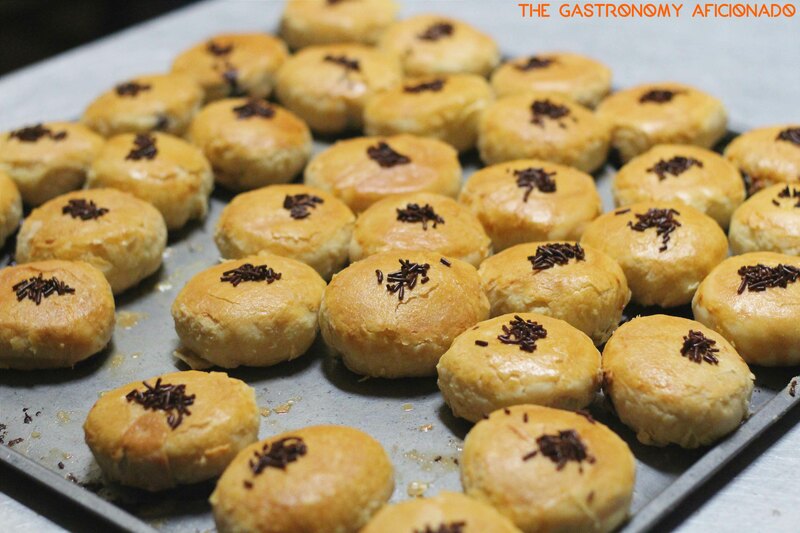 The “die die must try” at Ta Uchi is her apang bale or the round-shaped pastry filled with unti (young coconut mixed with palm sugar), the Gorontalo version of kue cucur (fried rice flour with palm sugar), and susen (Dutch-style profiterole, known also as kue soes in Java). On the other hand for savory treats, be sure to try Ta Uchi’s cala isi or the Gorontalo-style kue lumpur topped with coconut milk sauce, shredded bonito, chilies, and fried shallots. 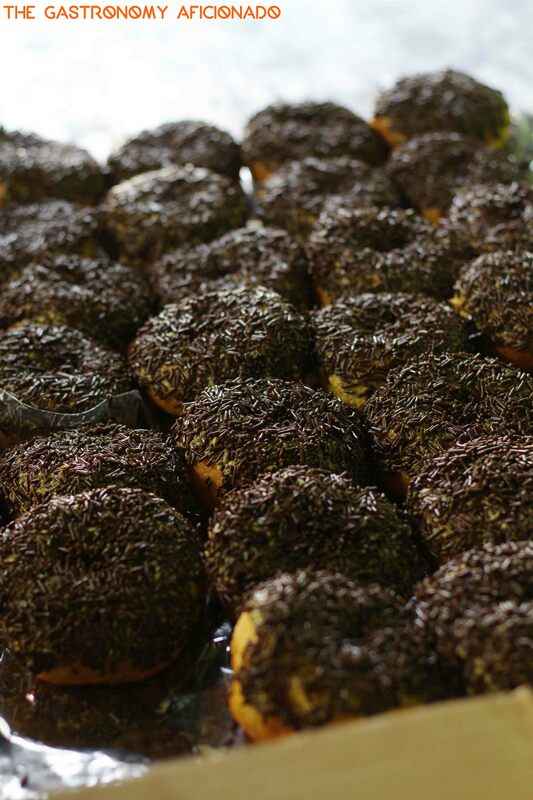 Lastly, be sure to arrive here early and by that we mean around 6am to 8am if you want fresher, more options to pick. 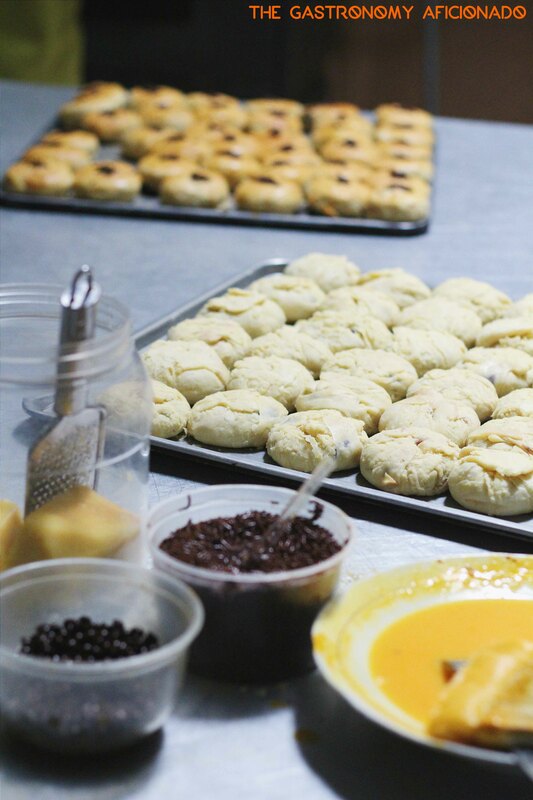 The legacy of baking cookies has been known in almost every household in Indonesia, especially during special celebrations. In Gorontalo, a husband and wife couple started their own ingenious take with the cookies by presenting something different. 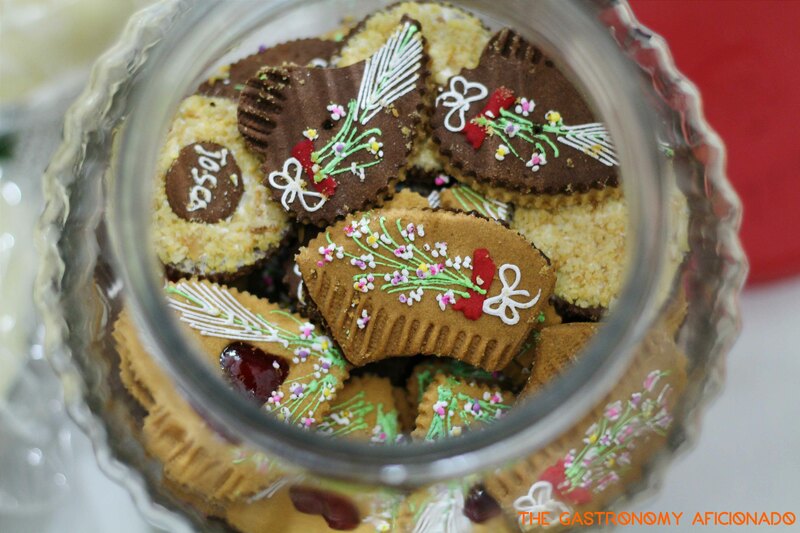 While the cookies here are basically made from usual ingredients such as flour, eggs, sugar, and butter; the owner decided to painstakingly decorate each and every cookie with beautiful, flowery patterns based the authentic Gorontalo fabric known as kain kerawang/karawo. 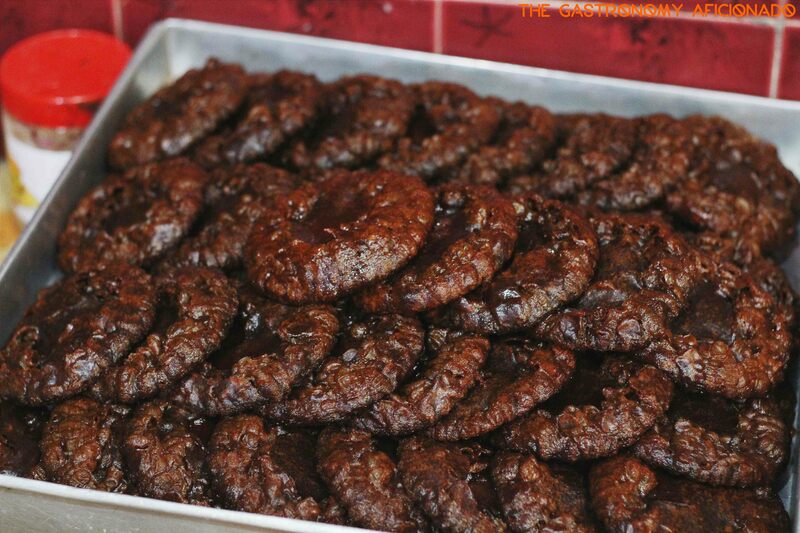 Hence the cookies are also called as Kukis Karawo. 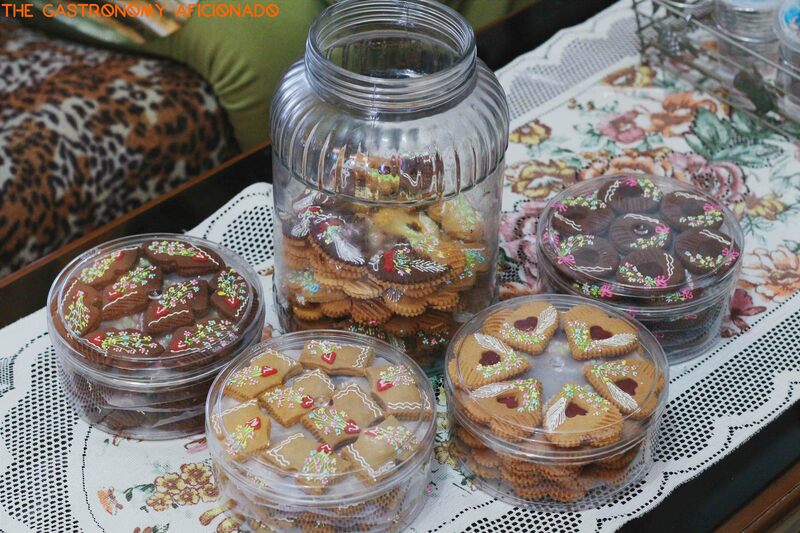 The cookies came in many flavors such as mocha, several versions of chocolate, strawberry and also cheese. The decorating is done manually for hours, but admiringly, the couple can fulfilled so many orders from in and outside Gorontalo – from common people to high-tier officials from Jakarta numbering in hundreds.